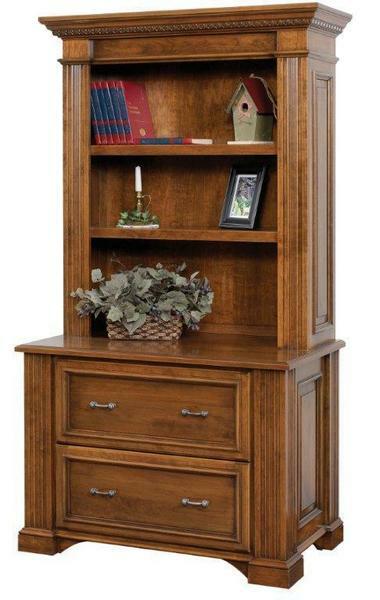 The sophisticated and stylish Amish Lincoln Lateral File with Optional Bookshelf Hutch makes a lovely addition to your office furniture collection. Two spacious drawers make room for your important files and documents, while the 1" solid hardwood top offers room to display items. The Lincoln Lateral File is shown here in brown maple wood with a coffee stain. Brown maple wood is smooth, polishes handsomely and looks magnificent in chocolate and cherry tones. Note: Bookshelf Hutch is Not Standard.